I don't know if any of you remember one of my favorite magazines, Country Journal, which stopped publication about 10 years ago. The person who wrote and edited the cooking section was Ken Haedrich. And it was in an old issue of the magazine, oh I'm going to say in the 1980s, that I first saw recipes for making homemade crackers. 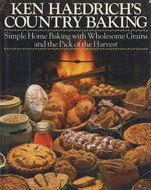 In 1990, Haedrich published his Ken Haedrich's Country Baking, and it includes many of the recipes from that original cracker article, such as the one I'm sharing today. You can control exactly what's in them--no chemicals, nothing you might be allergic to. So how do you make them? Basically, you mix the dough and roll it out really, really thin. Then you cut the dough, prick it with a fork, and bake. Yeah, it takes a little bit more than that, but not much more. Mixing: I usually mix my dough in the food processor, but there is no reason not to mix it by hand. Chilling: I always chill my dough before rolling it out, even if the recipe doesn't tell you to. The dough is much easier to roll when it's not sticky. Rolling: This is the hardest part. You want your crackers to be 1/8 to 1/16 inch thick and as even as you can make it. Yikes! you say. Not to worry. I have two tricks. The first one I've read about in a number of books, blogs, and recipes. If your dough is on the soft side and doesn't contain seeds, you can put it through a pasta roller. 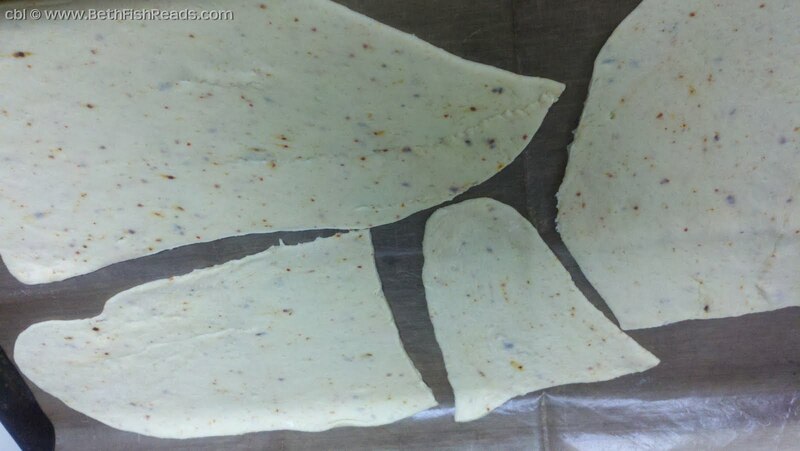 The photo of the dough (below) shows what one batch looked like after it came out of the roller. I usually roll it on the widest setting, then on #2, and then sometimes on #3. Nothing is easier. Before I got my pasta roller, though, I had to roll all my crackers by hand. Now I roll just the ones that use seeds or stone-ground cornmeal. 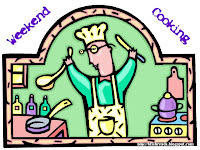 Most recipes tell you to divide the dough in half and then roll it out on a lightly floured surface. Here's a trick I haven't read anywhere; it's something I discovered on my own: I have much better luck if I divide my dough into 6 or 8 parts. Yes, it takes more time, but you'd be surprised by how much easier it is to get a fairly even thickness if you have less dough to push around. Preparing the pan: You definitely want to line your baking sheets with parchment or a silicone mat. Not all recipes call for this, but I always line my pans. If you plan on baking crackers often, I suggest investing in silicone; you'll be going through a lot of parchment otherwise. Cutting the dough: You can use a biscuit cutter, cookie cutters, or a pizza cutter. I use a pizza cutter and I don't worry about the ragged edges of the dough or getting each piece the same size. If you transfer the dough to the baking sheet before cutting you won't have to move each little cracker. But be careful not to cut your mat. Docking: Be sure you poke each cracker with a fork to prevent it from puffing too much when baking. Baking: Watch the first batch like a hawk. You may want to rotate your pan(s) halfway through the baking if your oven doesn't bake evenly. You want the bottoms to be brown and the edges to just start to get brown. If you wait too long, the crackers will burn on the bottom. Remember that they'll crisp up a little bit on the cooling rack. Cooling: Transfer the crackers to cooling racks. If you're like me, you'll have racks with parallel bars instead of a grid. This means the crackers will fall through the spaces onto the counter. One of these days I'll buy new cooling racks, but for years I've dealt with that little annoyance. Storage: Make sure the crackers are completely cool, and store in an airtight tin or plastic bag. Warning: The crackers won't last long (because you'll eat them all in a heartbeat). They make great snacks and you won't believe how much better they taste than store bought. 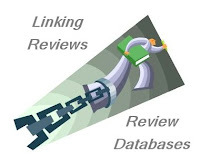 So where can you find other recipes to try yourself? If you do a search for "cracker recipes" you'll be surprised by how many you'll find. Our favorites are these Parmesan crackers, sesame seed crackers, and wheat crackers (like Wheat Thins). The New York Times had a cracker article last year with some good recipes and King Arthur Flour has some too. 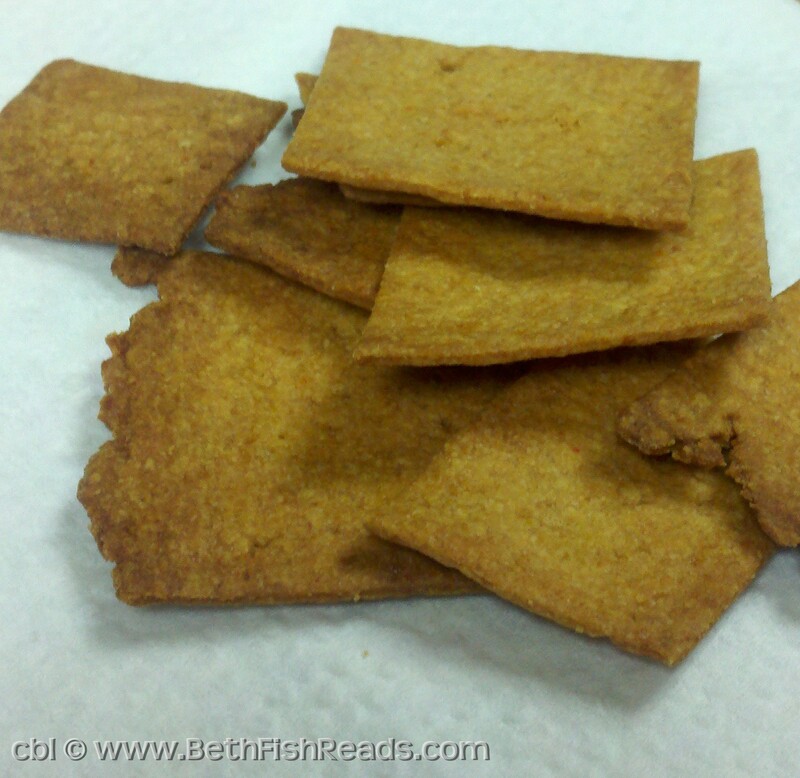 I'm sharing the recipe for the first crackers I ever made, which can be found in Haedrich's cookbook. The recipe calls for Cheddar cheese, but I usually make them with Parmesan. Either way, they're yummy. In a large bowl, mix the flours, cornmeal, salt, baking powder, and cayenne; stir in the Cheddar. Lightly beat the egg, oil, and water in a separate bowl. Make a well in the dry ingredients and stir in the liquid just until the dough coheres. Give the dough a shake of flour and knead it once or twice in the bowl. Flatten into a thick disk, wrap in plastic wrap, and refrigerate for 15 minutes. Preheat the oven to 375F while the dough chills. On a lightly floured surface or long sheet of wax paper, roll the dough a little less than 1/8-inch thick; closer to 1/16 inch is actually better. Dust the top of the dough, if necessary, to keep your pin from sticking. 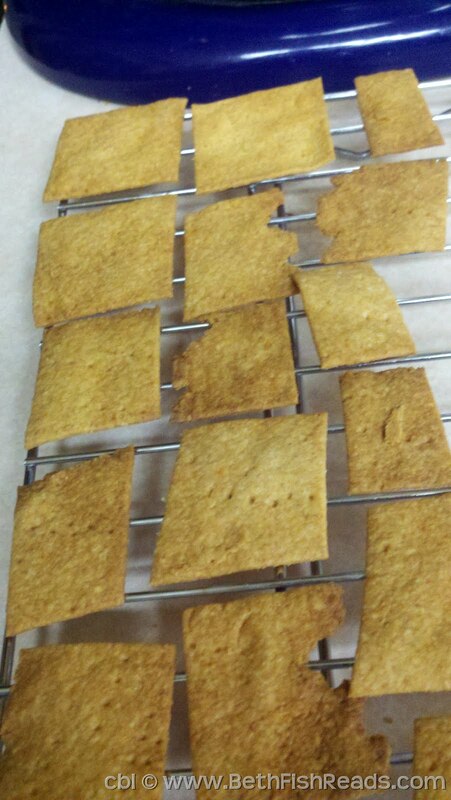 Cut the crackers any way you like, then transfer to ungreased cookie sheets. Bake, one sheet at a time, for 15 to 20 minutes, depending on the thickness (longer for thicker crackers); when done, they'll be nicely browned around the edges. Transfer the crackers to a rack and cool thoroughly before storing in a sealed container. I always am amazed when I see people making things like this. Sounds like a lot of effort, but I am sure the reward is worth it! I have a small cookbook from Country Living and there is a section on crackers that I have always meant to make but have never got around to. Thanks for all the tips! hubby is working a double today and I thought it would be a good day to experiment! Wow, I bet they taste great. I am so amazed at how many chemicals are in our food. It's disgusting! I'll have to try this. Why have I never thought about making my own crackers before? What an interesting concept! They do look yummy! I know we would love these, making crackers to me are like bread and I am so challenged by it, I need to get over it. I've never tried making crackers but I love eating them. These sound so good, maybe it is time to give them a try. What a totally delicious post! I'd heard of people making crackers before, and always admired them so much. Thanks for all your wonderful tips. And I do remember Country Journal -- subscribed to it for a bit. 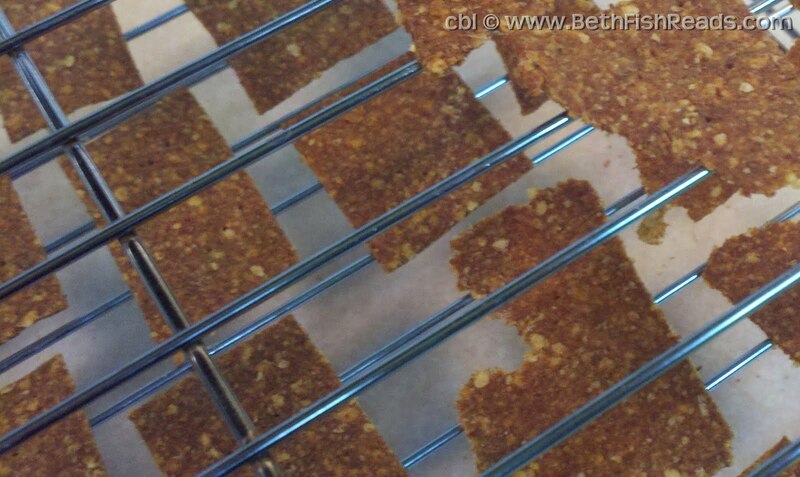 I've tried making crackers once before... a recipe from Oh She Glows. They were terrible. Not because of her (because lots of people have made them and loved them), but I butchered the whole process. Still, it's hard to find crackers that aren't highly processed (I've discovered Triscuits only have three ingredients...), so I may get brave and try these one day. These look like crackers I would enjoy more than the other ones I tried. Wow, I have to say I'm impressed over homemade crackers! I think "people are always impressed" is an excellent reason. Though I also find people give you the sideways glance like you're from another planet (You make your own baby food?!?!). We're on a big kick right now to eat more naturally and so I've emailed this to my husband. Love it!! Wow, this seems like lots of work. You are right-I always think that rolling out is the hardest part. Oh my! I bet those are absolutely delicious! I need to get a pasta roller because I don't think I could roll them out that thin. Those look amazing! Cheese and cornmeal seem like the perfect combination to sneak into a Super Bowl gathering. What a fantastic post this was - almost like a mini cooking school or cookbook in crackers. You've inspire me to give crackers a try. They are something I have never tried and now I'm saing - why not? Thanks for the inspiration. What a terrific endeavor! I've always wanted to make crackers for exactly your reason-to control what ingredients are going in! Thanks for such a great detailed recipe. Thanks for the rolling the dough tip! I have never made crackers but this sounds kind of fun and yummy! Interesting! It's never really occurred to me to make my own crackers. I never once thought of making crackers, but after reading this post, I think I'll give it a try with gluten-free almond flour! I haven't made this recipe, but I've made a similar one. I like the idea of making my own crackers. I'm going to try these next week. My husband loves something crunchy and I need something that my kids will love to eat too! This sounds awesome! The only type of crackers I've tried to make on my own is where you bake little circles of grated Parmesan and then let them cool. Those aren't *really* crackers though. am i just lazy..or is that a lot of work for crackers. not that I would not love to try them if someone else made them! Thanks for the encouragement and instruction. That sounds really delicious! I tried making crackers once, but they turned out more as buttery, cheesy nuggets, which, while wonderful, were not what I had in mind when I thought crackers. I should try these! 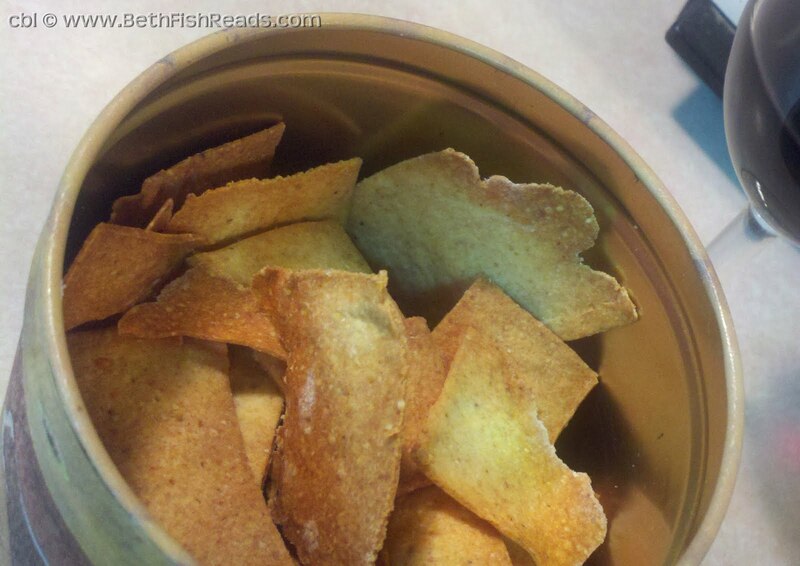 I've been SO looking forward to this post on making crackers! Thanks for the tips. I think the trouble, for me, has come from not mixing in the food processor. 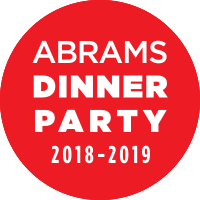 It's just a pain in the patooty to mix by hand (with the recipes I've tried). DEFINITELY going to try these. I am a cracker addict. Posting my recipe for HOMEMADE CHICKEN POT PIE. Another thing that ends up being highly processed, and a great way to use leftover chicken or turkey! My dad used to make crackers pretty regularly. They were always SO good. Thanks for the memory. i honestly can't wrap my head around homemade crackers! i never even considered it a possibility until i heard you mention it on twitter! like anything tasty, i'm sure it's a bit of work but the end result looks worthwhile. :) can you make some goldfish crackers next time? These look really nice! I'd love to try making crackers, so it's great that you shared this. Thanks! Wow, these look fantastic. I have never even thought about making my own crackers, but you've inspired me! I can't believe you made your own CRACKERS! Now, I feel inspired to do cooking something cool like that - after i finish moving into my new digs so I can actually FIND my pots and pans. Nice job tho! The pricture are really good! I've never even heard of making crackers, but I don't see why not. I bet they are delicious. I never even thought of making my own crackers! This is totally something I could see myself doing. Thanks for the recipe and the tips. I'm going to give it a try. huh - I don't think I'd ever thought about making crackers. Ken Haedrich wrote my favorite PIE book. He's pretty darn cool. I used to make crackers when I worked in a restaurant. They are such a great thing to make and eat!. Thank you for all the tips and the recipe. Hopefully I will find time to make them again soon.